The capture of a suspect in the Boston Marathon bombing opened new questions Saturday of how far the U.S. Justice Department can go in questioning terrorism suspects, and whether they should be brought to justice in civilian courts at all. The Justice Department has said it is considering charges against bombing suspect Dzhokhar Tsarnaev, who was captured Friday night after a short standoff that capped an intense four-day manhunt that paralyzed greater Boston. But officials also said the agents interrogating him had not given him a standard Miranda warning first, relying on an ill-defined exception that lets them question suspects about threats to public safety. That approach met with swift criticism Saturday. "These are dangerous exceptions. If we don't protect the rights of the people who most threaten us, then we won't protect the rights of the rest of us," said Nancy Hollander, a past president of the National Association of Criminal Defense Lawyers, who now represents two detainees at Guantanamo Bay, Cuba. Others applauded that decision. "A decision to not read Miranda rights to the suspect was sound and in our national security interests," Sen. Lindsey Graham, R-S.C., said Saturday in a tweet. Graham and three other Republican lawmakers — Sen. John McCain, R-Ariz.; Sen. Kelly Ayotte, R-N.H. and Rep. Pete King, R-N.Y. — urged the Obama administration to consider detaining Tsarnaev as an "enemy combatant" instead of prosecuting him in a civilian court so that the government could question him more aggressively. "The accused perpetrators of these acts were not common criminals attempting to profit from a criminal enterprise, but terrorists trying to injure, maim and kill innocent Americans," they said in a joint statement. President Obama has said that his administration would prefer to prosecute terrorism suspects in civilian courts, though he has also left open the option of detaining them under international laws of war. But Congress has largely rejected the administration's efforts to transfer terrorism suspects already held in Guantanamo Bay to regular federal courts in the United States. "Every criminal defendant has a right to be brought before a judge and to have access to counsel. We must not waver from our tried-and-true justice system, even in the most difficult of times. Denial of rights is un-American and will only make it harder to obtain fair convictions," ACLU Executive Director Anthony Romero said Saturday. Most of the criticism focused on the government's decision not to give Tsarnaev a Miranda warning before interrogating him. That increases the risk that anything he says to investigators will be inadmissible if he's charged with a crime. 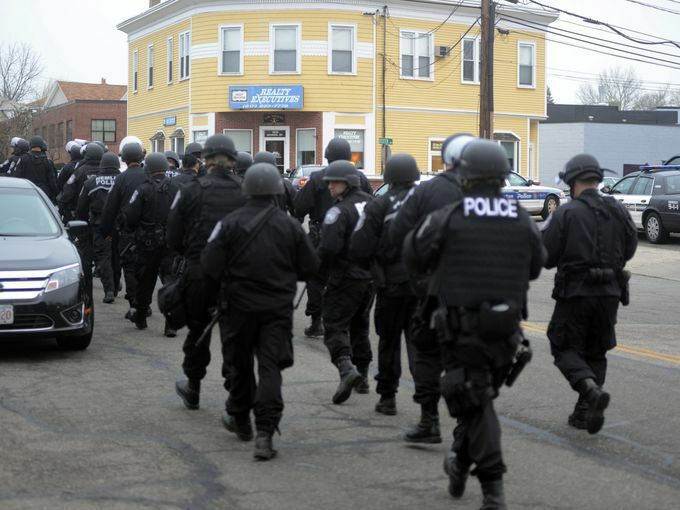 "They have to consider what do you lose from a possible suppression motion versus what do you gain by learning about a threat to public safety," former Boston U.S. attorney Michael Sullivan said. "The government will be sensitive to that. They'll try to maximize the benefit and minimize the risk." He said prosecutors almost certainly have enough evidence against Tsarnaev that the risk of not having his confession admitted in court is small. Police usually read suspects a standard Miranda warning after they're arrested, advising them of their rights to remain silent and have a lawyer present during questioning. When they don't do that, they run the risk that they won't be able to use the suspect's statements – or other evidence they obtain as a result – in court. But the U.S. Supreme Court said in 1984 that police can bypass that requirement if they need to interview a suspect about an imminent threat to public safety. Police in that case had questioned a suspect about a gun they believed he had hidden inside a supermarket without first giving him a Miranda warning. The court said his statements were admissible anyway. The precise boundaries of that exception are far from clear. It clearly allows agents to ask questions about the location of guns and bombs that could endanger the public. But it's less clear whether they would also have leeway to ask Tsarnaev about motives or accomplices. "There's not a lot of guidance out there," Sullivan said. "The parameters aren't crystal clear." It remained unclear Saturday how long agents questioned Tsarnaev without giving him a Miranda warning, or even whether they had an opportunity to interrogate him at all. Massachusetts Gov. Deval Patrick said Saturday that Tsarnaev likely can't communicate yet. Even so, critics worried that the Justice Department is expanding the exception beyond its original purpose. "Each time the administration use this exception, it stretches wider and longer," said Vincent Warren, executive director of the Center for Constitutional Rights. The FBI interviewed Umar Farouk Abdulmutallab for 50 minutes without reading him a Miranda warning after he tried to bring down an international flight with a bomb concealed in his underwear in December 2009. A judge later approved that questioning. But in 2008, a federal appeals court in New York ruled that the Justice Department could not introduce statements that a suspect in the 1998 bombing of the U.S. Embassy in Kenya had made to FBI agents while he was locked up in Nairobi because he did not receive a Miranda warning. But the judges went out of their way to say if "exigent circumstances compel an un-warned interrogation in order to protect the public, Miranda would not impair the government's ability to obtain that information." In 2010, the FBI instructed agents in terrorism cases to not immediately give suspects Miranda warnings. But that tactic has drawn sharp criticism from defense lawyers and civil rights groups, who say it unfairly erodes suspects' constitutional rights. As of Saturday morning, Tsarnaev did not have a lawyer. Alexander Bunin, the former top federal public defender in northern New York, said authorities "are going to push their authority as far as they can." He said prosecutors are acutely aware that dodging Miranda warnings means they could be "in jeopardy of not being able to use the statement," but said they might have gathered enough other evidence that they're willing to take that chance. The "public safety" exception to Miranda isn't limited to terrorism cases. Last year, a federal appeals court in Ohio said that police acted appropriately when they asked a suspect about the location of a shotgun before giving him a Miranda warning.